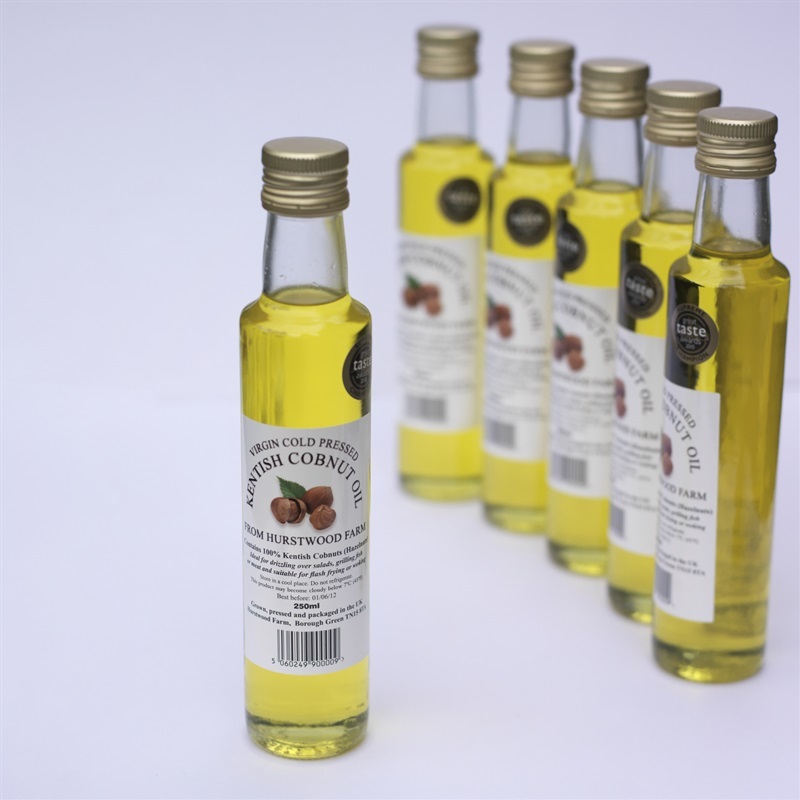 Our Kentish Cobnut Oil has featured on ITV Ade In Britain, BBC The Hairy Bikers, and ITV The Hungry Sailors. It is an ideal alternative to the Kentish Cobnut oil and is good for drizzling over salads, grilling fish or meat and suitable for flash frying or woking. This exclusive Kentish Walnut Oil is grown, pressed and packaged by one of Potash Farm’s neighbours. It is an ideal alternative to the Kentish Cobnut oil and is good for drizzling over salads, grilling fish or meat and suitable for flash frying or woking. It makes an ideal gift and comes in a 250ml bottle. Ideal for drizzling over salads, grilling fish or meat, and suitable for flash frying or woking.